You can see list of our Epson L220 VS L210 below, perform Side-by-Side comparison. If you need further help, do have a look at Conzumr Guides and Tips. Alternatively you can view all Printer and Scanner to choose your own favourites. 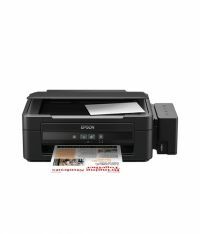 The L210 uses Epson's Genuine ink bottles, which cost Rs.441 per bottle*, to let you enjoy ultra high page yields of up to 4,000 pages (black). 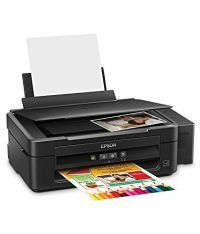 It also features Epson's fast ink top-up technology for easy mess-free refills with two features: Special tubes in the printer ensure smooth and reliable ink flow at all times. A handy choke valve allows you to lock the ink system during transport to minimise messy leaks and ink wastage. To Recieve updates and possible rewards for Epson L210 please sign in. To Recieve updates and possible rewards for Printer and Scanner please sign in.